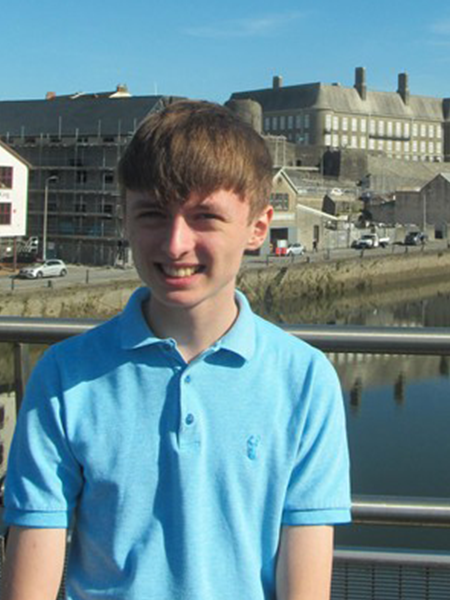 My name is Cai Phillips and I would like to stand for Carmarthen West and South Pembrokeshire. I'm a 15 year old farmer’s son in year 11 at Ysgol Bro Myrddin in Carmarthen. I am a member of the eco committee and my favourite subject is drama. I like cooking and Doctor Who (but not at the same time!). I will also listen to you because we are the future, and we have the right to say in this new and exciting Youth Parliament. By voting for me, you will get a strong and confident voice in this venture. From Castlemartin to Carmarthen, my constituency has the most magnificent locations in the world from Carmarthenshire to Pembrokeshire. Rural and urban. I consider all of these to be important to me and I will try my best to represent constituents’ areas. Vote for change. Vote for Cai.